If you are actively doing your duties as a Scout leader and leveraging the support structure BSA has in place for you, the Adult Square Knot Awards should be a piece of cake to achieve! In a nutshell, the three recognitions below follow a sequence where one sets the foundation for the next to be built upon. The Unit Leader’s Award is very easy to do. It’s mostly about encouraging the minimal level of training, time in position and a very basic focus on scouting (such as organizing a calendar of activities and supporting rank advancement through merit badge planning). Details and nomination form can be found in this PDF file. The Scout Leader’s Training Award should come next. This one isn’t hard either and builds on the Unit Leader’s Award. It takes into account the time in position and a deeper commitment to training. This Adult Square Knot award also requires a greater level of involvement with opportunities that include fundraising, more camping and other support roles as an adult leader. Use the following PDF file to record progress (2012 revision). The last one in this sequence of Adult Square Knots is the Scoutmaster’s Key. Again, tenure is important since it takes time to make any adjustments necessary to improve your program. The training requirements for this award encompass giving training instead of just receiving it…and the performance level for the Scouter’s Key requires a leader to earn the Quality Unit Award twice in a three-year period. (I’m assuming this requirement will be replaced with earning the Journey To Excellence award in the same timeframe). 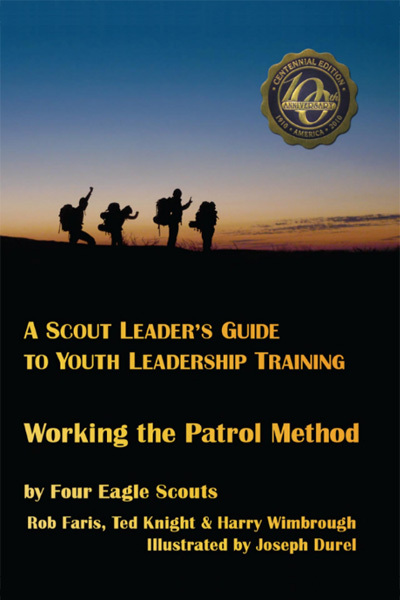 Use this PDF file to record progress for the Scoutmaster’s Key (2012 revision). As you can see, a very well organized system has been established to help us be successful in our roles. All we need to do is exercise this system with dedication and determination. Then when it’s time to move on from your current responsibilities, you can look back and know you did the best you could. This entry was posted in Awards, Leading by Example and tagged adult leaders, boy scouts, bsa, journey to excellence, leader's training award, quality unit award, scouter's key award, square knot awards, training awards, unit leader's award of merit. Bookmark the permalink.